Xuzhou (xú zhōu 徐州) is well known for its heritage and the Han (hàn 汉) culture. There are total more than 200 Han tombs discovered, with thousands of unearthed priceless funerary objects and terracotta warriors. 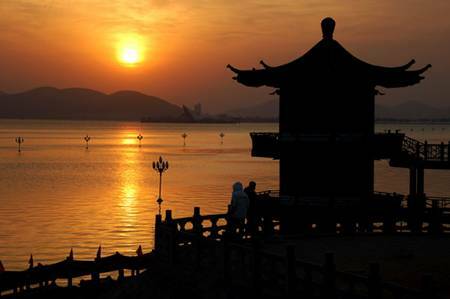 With a history of 2,600 years, it is also a historical city with the critical strategic importance from military views, and known as a notable battlefield in China's history. There were more than two hundred famous battles once taken place on this land. Dinghui Temple (dìng huì sì 定慧寺) is located at the south slope of Jiaoshan Hill (jiāo shān 焦山) in Zhenjiang City (zhèn jiāng shì 镇江市), Jiangsu Province (jiāng sū shěng 江苏省). The temple was erected in Eastern Han Dynasty (dōng hàn 东汉), with a history of more than 1800 years. It was originally called Puji Temple (pǔ jì sì 普济寺), and was renamed to Jiaoshan Temple (jiāo shān sì 焦山寺) in the Yuan Dynasty (yuán cháo 元朝). 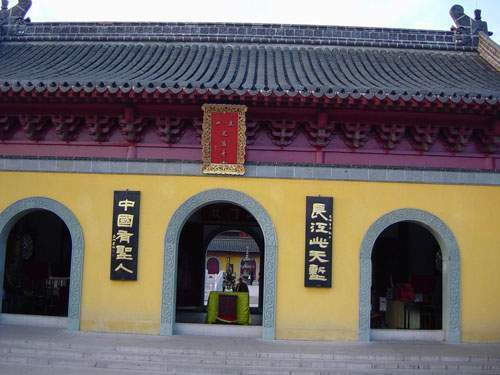 Then in the Qing Dynasty (qīng cháo 清朝), the Emperor Kangxi (kāng xī dì 康熙帝) granted the name of Dinghui Temple. 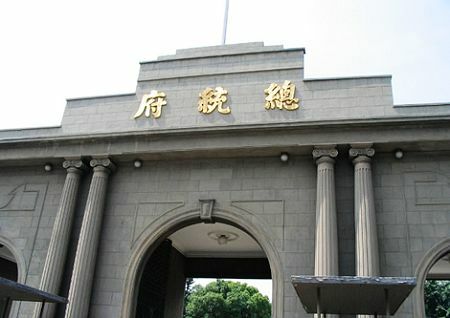 Presidential Palace (zǒng tǒng fǔ 总统府) is located on Changjiang Road (cháng jiāng lù 长江路) in Nanjing City (nán jīng shì 南京市). During the 1009 years from 1840 to 1949, it was the backbone of the Chinese military and politics. The Presidential Palace is now a historic site with great importance in modern history of China. And it is now the biggest modern history museum in China. Nanjing Confucius Temple (nán jīng fū zǐ miào 南京夫子庙) is located in the Nanjing City (nán jīng shì 南京市), at the north bank of Qinhuai River (qín huái hé 秦淮河). It is built for consecrating and worshipping Confucius (kǒng fū zǐ 孔夫子), who is the great thinker and educator of ancient China. 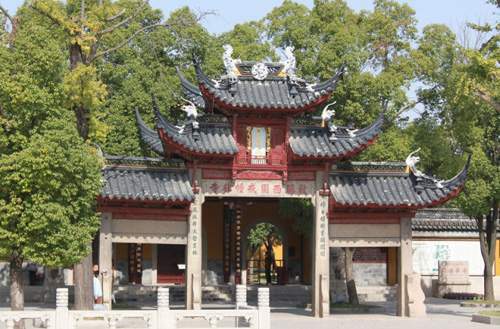 Xiyuan Temple (xī yuán sì 西园寺) is located on the Liuyuan Road (liú yuán lù 留园路), Suzhou City (sū zhōu shì 苏州市). It is the largest temple within Suzhou. It was names as Guiyuan Temple (guī yuán sì 归元寺) at first. Then during the reign of Emperor Jiajing (jiā jìng huáng dì 嘉靖皇帝) in the Ming Dynasty (míng cháo 明朝), its name was changed into Xiyuan. 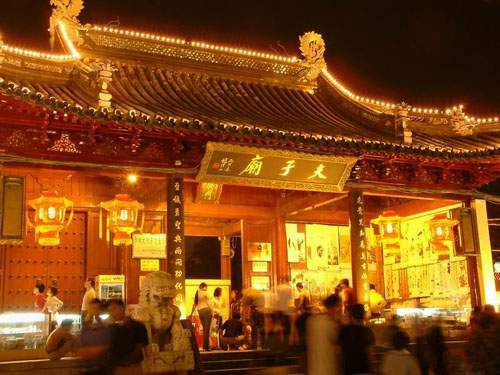 During the reign of Emperor Chongzhen (chóng zhēn huáng dì 崇祯皇帝), the temple was one of the famous sites for Buddhist worship. During the reign of Emperor Xianfeng (xián fēng huáng dì 咸丰皇帝) in the Qing Dynasty (qīng cháo 清朝), the temple was destroyed in the war, and then in the reign of Emperor Guangxu (guāng xù huáng dì 光绪皇帝) the temple was rebuilt by Monk Guanghui (guǎng huì 广慧), rename the temple as “Xiyuan Jiechuang Temple”(xī yuán jiè chuáng sì 西园戒幢寺),which is commonly called “Xiyuan Temple”.